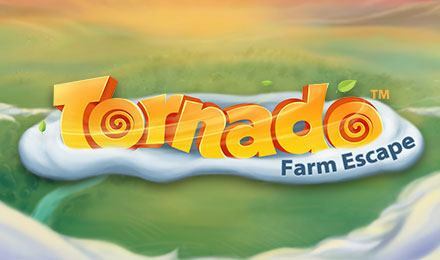 Play the Tornado Farm Escape slot game and get swept up in all the fun! With farm animals, wild symbols, and coin rewards, you’ll be struggling to keep your feet on the ground! Get swept away whilst playing the Tornado Farm Escape slot game and keep up with all the twists and turns of the crazy storms! Try your hand at this 5 reel 20 payline slot game and watch all the farm animals get carried off into the vast skyline. With the charming game’s Storm Feature you’ll find yourself amongst the Wild symbols on the reels, accumulating major wins! The Tornado Feature rewards you for wilds and gives you cool coins in return! Just be sure you don’t get swept away yourself!